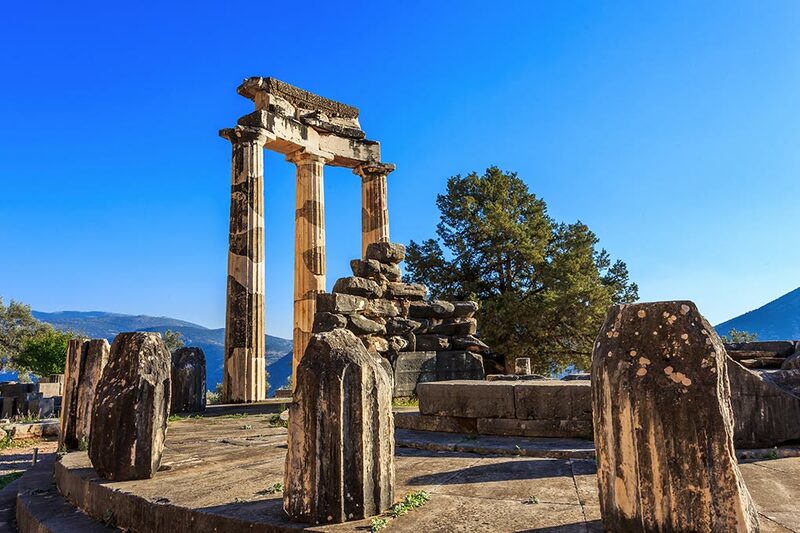 This tour takes you to the navel of the world, Delphi. 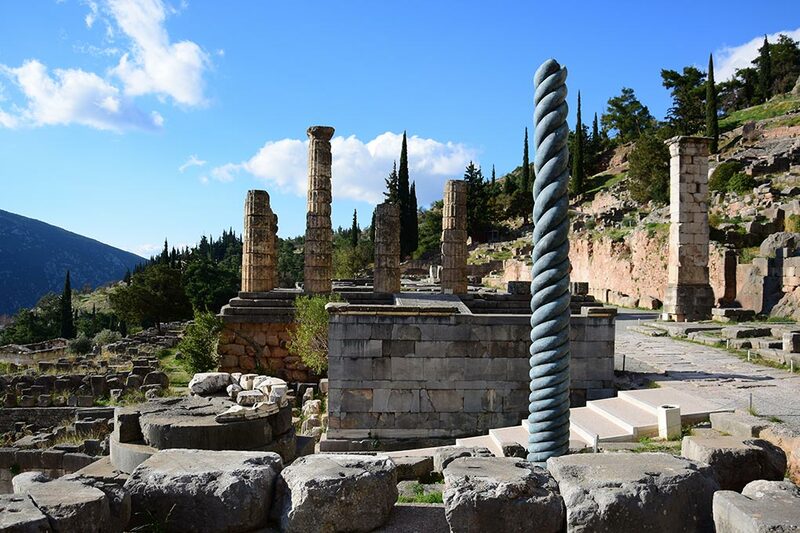 Delphi used to be the most important sanctuary dedicated to God Apollo, the place through which the God was believed to be offering his Oracles. 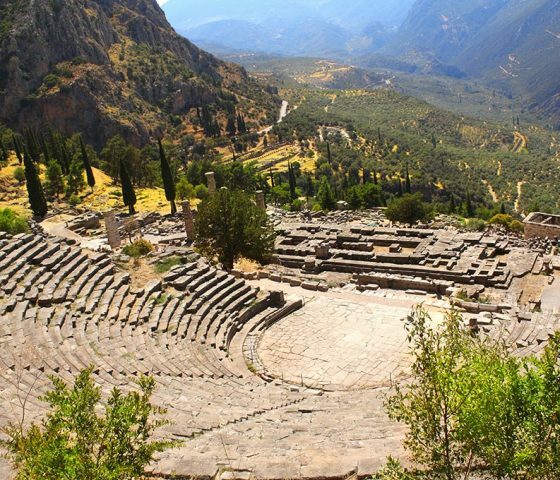 On this tour visit also the traditional village Arachova and if extention is chosen, the Monastery of Hosios Loukas. A visit to the mythical center of the world. Legend has it that Zeus, sent his two eagles across the world, one from the East and one from the West, and he said that the point where the two eagles would meet would mark the center of the earth, the navel of the world, or “Omphalos” as it is referred in Greek. We will depart from Athens early in the morning driving northwards. 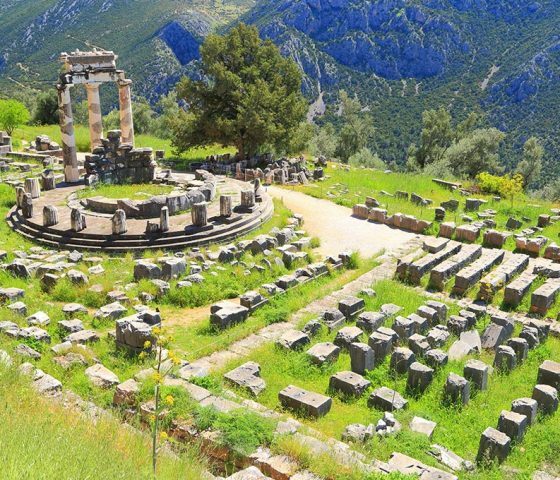 Our short break will revitalize us and get us prepared for our visit to the navel of the world, the Archaeological Site of Delphi. The Archaeological Site is located in the southwestern spur of Mount Parnassos. Its geographic position holds an intriguing characteristic. 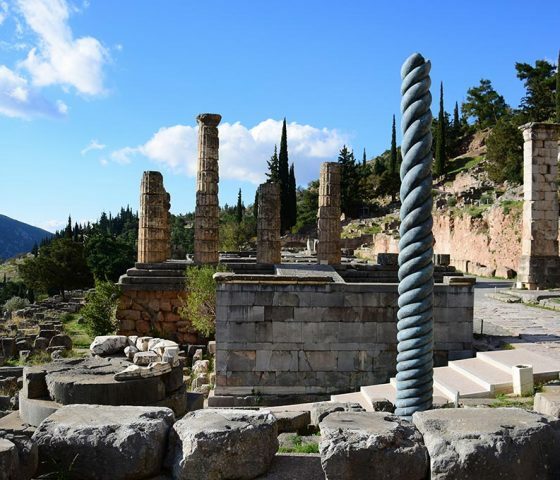 Although it is not far from the coastline, the natural positioning of the nearby hills makes the site almost invisible to the ships thus protecting the city of Delphi from potential invaders. 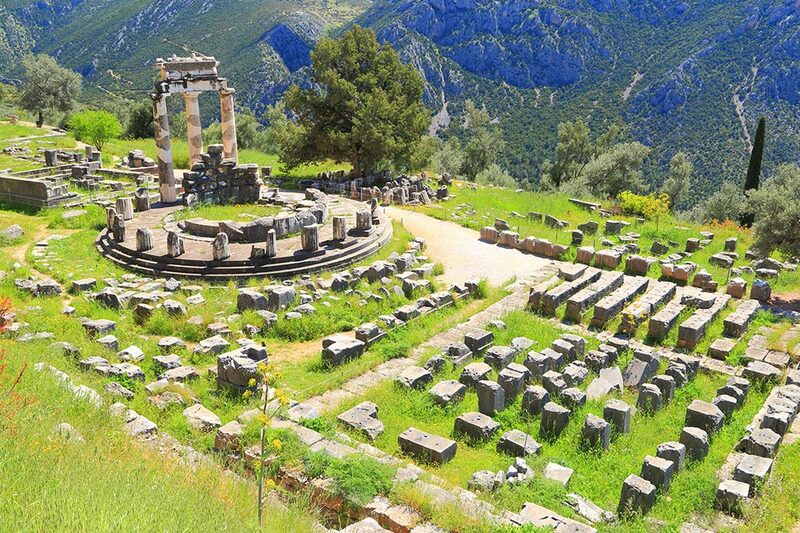 Delphi used to be the most important sanctuary dedicated to God Apollo, the place through which the God was believed to be offering his Oracles through Pythia, the Priestess of the Sanctuary, who was always eager to give her advice to everyone from mere citizens to mythical heroes and legendary leaders of cities. 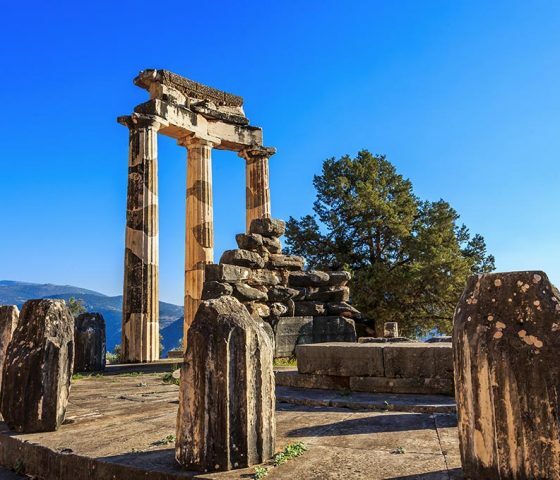 Greek people would visit the Oracle of Apollo religiously to take advice before they would proceed in taking important decisions. 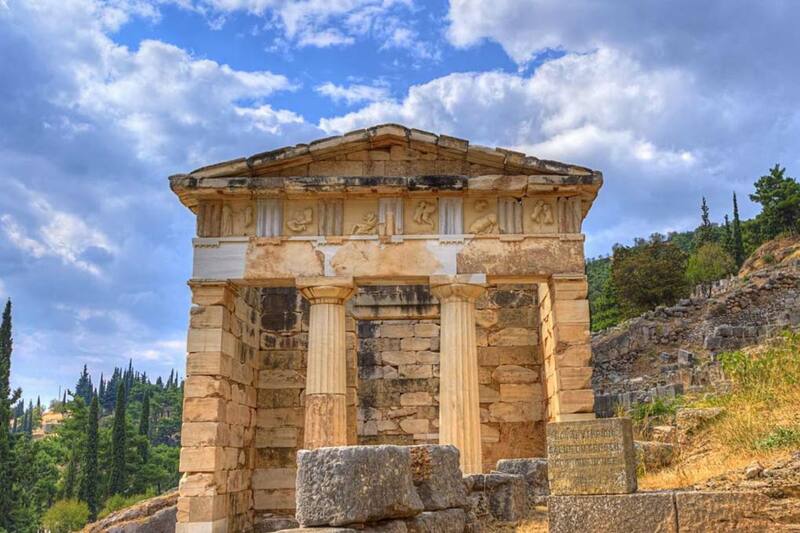 In such a perspective one could say that the Oracle of Delphi with its advice has determined greatly the route of history. You can spend approx. 3hrs on the Site and its Museum. After your visit to the archaeological Site and its Museum we suggest a break for an authentic Greek lunch before we depart for Athens. 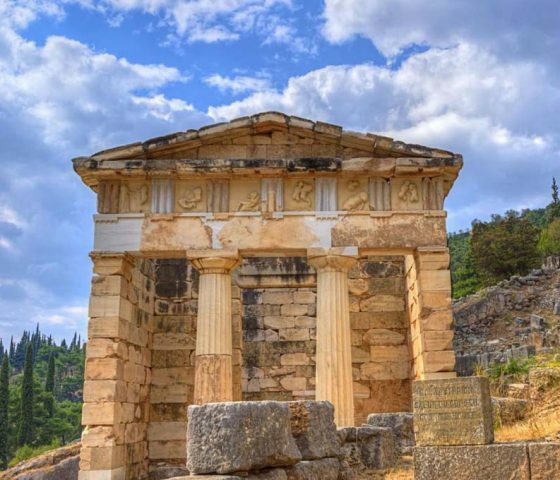 Option first: your chauffer will drive you to the Monastery of Hosios Loukas extension after the lunch break and before leaving for Athens we will visit this beautiful Monastery of 11th century that is situated on a mountainside overlooking the beautiful valley. 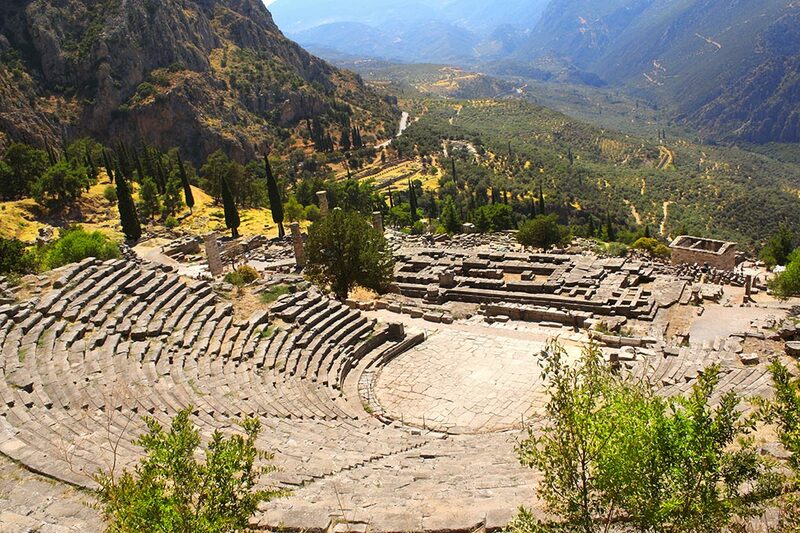 This Monastery is the largest surviving monastery of the Middle Byzantine period in Greece. You can spend approx. an hour there. Or alternatively with the third option you can visit the Lion of Chaeronea.